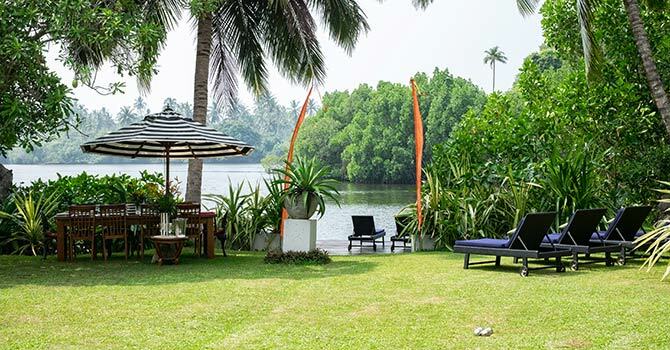 Mandalay Lake Villa on Lake Koggala is a relaxing three bedroom retreat, the villa sleeps a maximum of six people and also offers a small team of helpful and hospitable staff to ensure the perfect holiday. The elegant villa is spacious and bright, with traditional accents and artwork. There is a stylish sitting room with a satellite television, and french doors that open up into the garden and pool. A dining pavilion also offers beautiful views out over the pool as well as the garden and lake. The garden is a stunning, lush tropical oasis with many plants and trees. 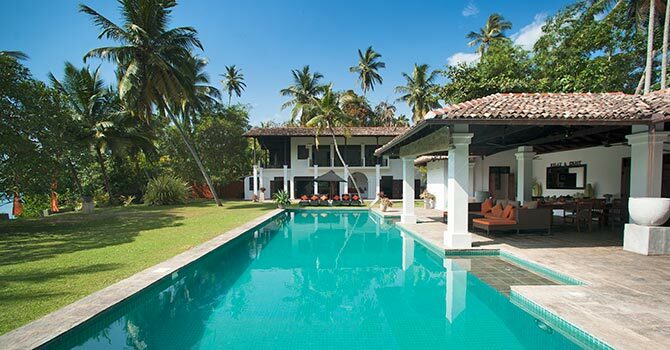 The crowning jewel of the garden is a huge swimming pool flanked by a wooden pool deck and sun lounges. There is also a relaxing daybed, as well as a pavilion for meditation and a secondary alfresco dining area. 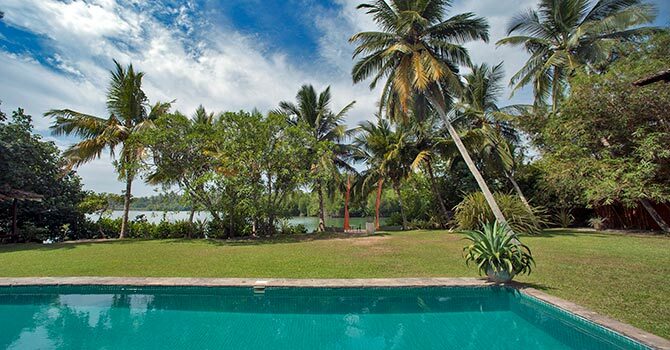 Natural beauty surrounds the villa, with Koggala Lake on one side, and the beautiful beaches just ten minutes away. 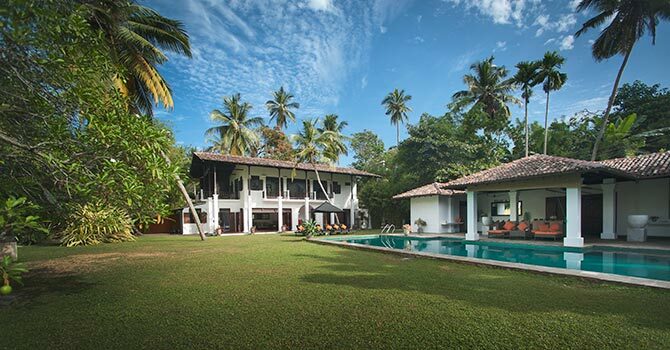 It is also easy to access the popular location of Galle, which is just twenty minutes from the villa. The villa boasts four spacious bedrooms, including an elegant master that takes up the entire first floor of the property. It boasts a king-sized four-poster bed, air-conditioning, and a modern en suite with a shower and freestanding bathtub. It also opens out onto its own private terrace. The two other bedrooms are located on the ground floor, and both feature en suites. The first guest bedroom has a king-sized four-poster bed while the third bedroom has two single beds and opens up into the garden. Reviewed Aug 2018 | A beautiful, Sri Lanken haven with an amazing view. We have just returned from Mandalay and have had such a fantastic time. The villa is just magical with an amazing view! Thank you to Sudu who was the perfect tour guide. Nothing was too much trouble with memorable trips to see turtles, elephant safari, Galle and Unawathuna beach. Ranji’s food is so delicious and he even kindly gave me a cooking lesson. Chaturanga kept the villa spotless and looked after us so well - the perfect gentleman. We have brought home such special memories and were so sad to leave.